The Rochester Hockey Foundation (RHF) is a non-profit organization founded in the 1960s by Ken Johannson and Arley Carlson from the Rochester Mustang Senior hockey team. The RHF Power Skating Clinic was held in the fall of 2018. This clinic, which emphasizes acceleration and power skills was developed and refined by Lorne Grosso. Information on the 2018 clinic should be available in the summer of 2018. The Rochester Hockey Foundation’s annual Fall Hockey School was a great success. 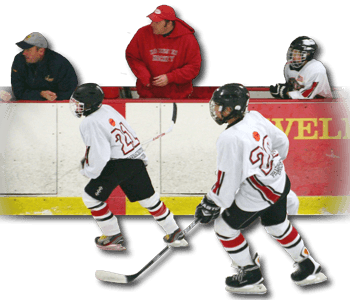 The school, held August through October, helps hockey players between the ages of 4 and 18 prepare for the upcoming season. College scholarships for graduating seniors. Over 300 awarded to local high school hockey players since 1976. 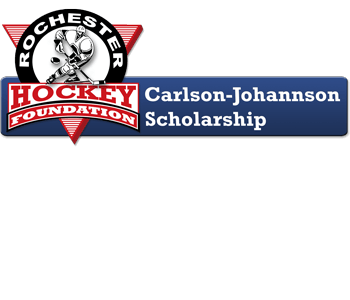 Recipents of the 2018 Rochester Hockey Foundation’s Carlson-Johannson Scholarships have been announced. The Rochester Hockey Foundation held another successful Ice Hockey Safety Clinic on October 28, 2017. 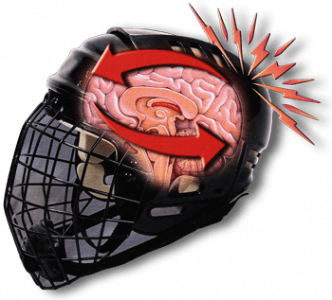 The clinic teaches safe on-ice and off-ice practices that will help prevent injuries, such as concussion. The Rochester Ice Hawks have a continuing partnership with Mayo Clinic Sports Medicine Center in the realm of concussion research. 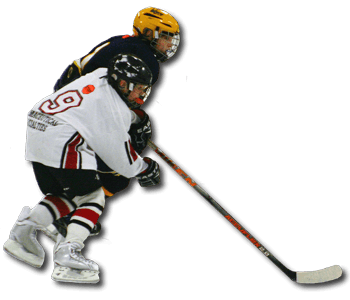 The Rochester Hockey Foundation supports Rochester and Olmsted County youth with college scholarships, grants for local projects and several special events. 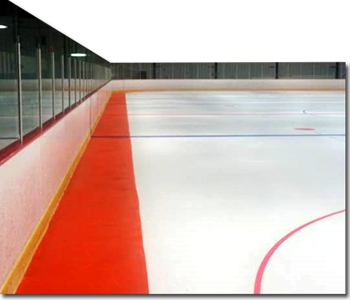 Maybe you have heard about or seen the Look Up Line and wondered what the orange ice strip is all about? This creative idea was initiated by a hockey player, Thomas Smith, after he sustained two spine injuries, the second of which resulted in partial paralysis. 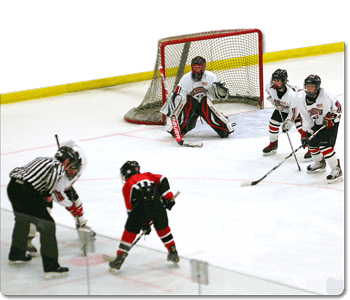 Fair Play in Youth Hockey Tournaments: Is it Necessary? 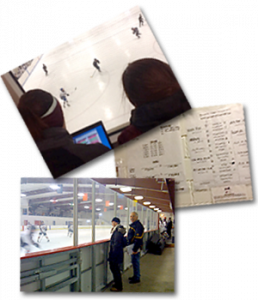 From December 2013 to February 2014, Mayo Clinic Ice Hockey research team members have been comparing Minnesota youth hockey tournaments played in Rochester to tournaments played in Woodbury. We have had a presence at Peewee A&B, Bantam A&B and U14 A&B in both locations. 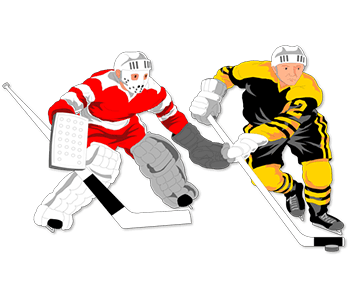 Teams in Rochester competed in tournaments that were governed by intensified Fair Play rules, while those in Woodbury were governed by regular tournament rules. 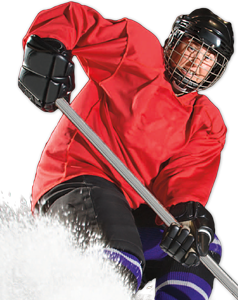 The outcome variables of interest include the injuries that occurred, such as medically diagnosed concussions, penalty minutes, types of penalties, Fair Play points earned, and individual exposure time (IET). Help promote youth hockey in our community. This program showcases the talented elite high school seniors in Minnesota. To grow the game of hockey in Rochester and Olmsted County: increase participation, promote safety, improve skills, foster a love of the game.